Yesterday I decided to have a clear out and sell some of my stuff on Amazon. I prefer selling on Amazon to Ebay as it’s much quicker and easier – no need to mess around taking pictures of items and entering lots of details. One of the items I was intending to sell wasn’t worth much, and my planned sell price was only £1.90. So when I came to the following screen and saw the fees Amazon would charge me for placing this listing would be £1.47 I decided it wasn’t worth the effort and to cancel the listing. What I expected to see here was some kind of button (or hyperlink) saying something along the lines of ‘cancel listing’, ‘don’t submit’, even ‘back’ would have been better than nothing. When I couldn’t see anything to do this I tried pressing the amazon.co.uk logo, thinking this would take me to the home page but it was inactive at this stage. One of the famous usability heuristics states that you should always let the user have control and freedom over their actions. There should always be a clearly marked exit route in case the user doesn’t want to progress further or if they have unintentionally entered a screen and they need to go back. Hey! I know this is somewhat off-topic howeer I had to ask. Does running a well-established blog like yours require a large ammount of work? I’d like to start a blog so I will be able to share my experience annd feelings online. we want work out more stratgies on this regard, thanks for sharing. Hey usabilitygal, I cant help but noticed I’m doing a research paper on the same subject and your blog came up so i decided to check it out. You do realize that there is an edit option in the upper right hand corner, which will provide the options your looking for. 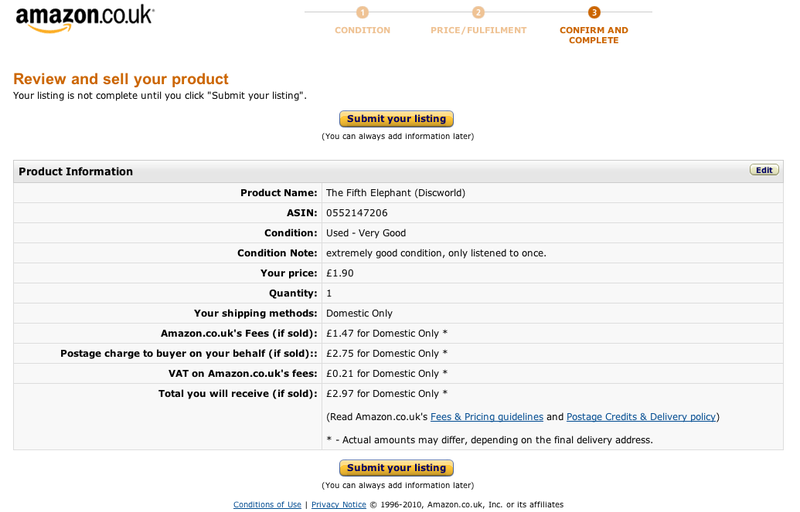 Also, I believe if you click on Amazon.co.uk in the upper left hand corner it will bring you directly to the home page. Whoever designed its webpage probably did not expect someone to not realize these options were available.